Sushi Kuriyagawa is a high-end sushi bar in Ebisu, located at approximately a 10-minute walk from the Ebisu Station. Mostly frequented by locals, it's a bit hard to find since it's on a basement floor. The lantern pictured above indicates the name of the establishment in Japanese (鮨くりや川). The place is small with the kitchen surrounded by eight counter seats. 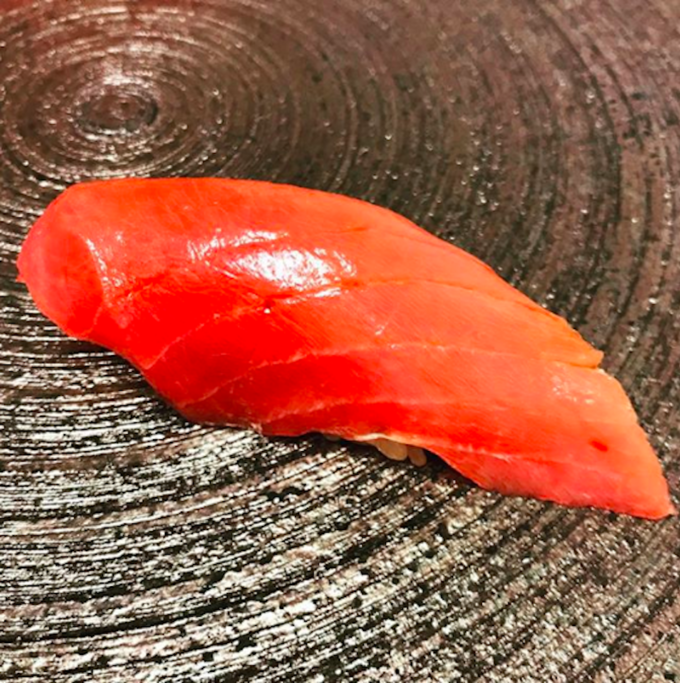 In the Edomae tradition, you enjoy this sushi restaurant by looking at the sushi master prepare one sushi at a time and handing it to you directly to your hand from his. Note that there is also a private room for small groups. Even children are welcome here. This is very rare for high-end sushi restaurants. The chef's philosophy is to mix novelty with tradition. 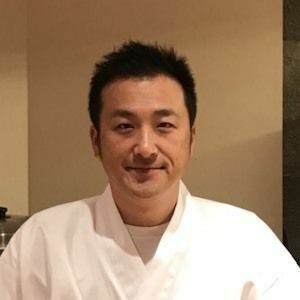 He uses red rice vinaigre for instance, which is the traditional way to make 'shari' (rice of sushi) of Edomae sushi, but on the other hand, he also uses unorthodox 'neta' (sushi toppings) such as salmon and avocado. Typical Edomae sushi is made with ingredients that could be taken from Tokyo Bay during the Edo era. This did not include salmon. You'll be amazed by the presentation and the quality of the ingredients. 'Uni' (sea urchins) of this size are a rare delicacy! Another thing Chef Kuriyagawa is known for is his original side dishes. If you have an omakase (leave it to the chef) course it will include many of them. People say that they enjoy these just as much as his sushi. This restaurant is pricey, but it's definitely an unforgettable experience. Lunch is between ￥6,000～￥7,999, and dinner is between ￥15,000～￥20,000. Affordable Sushi Restaurants in Ebisu, Tokyo!